Plumbtile carries many beautiful tiles. 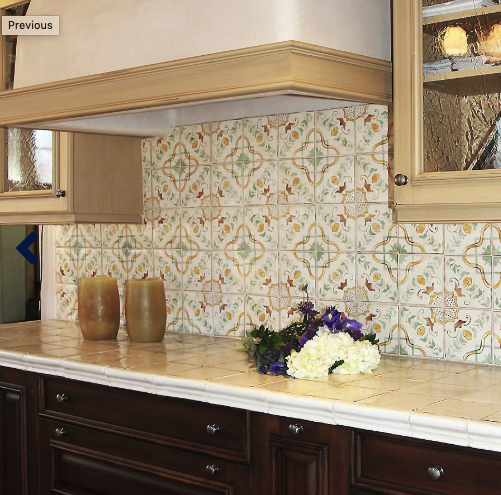 Tabarka Studio has been handcrafting custom terracotta tile since 2000. They were designed by Meir Zenati and all of the handmade terracotta tiles are inspired by different cultures from around the world. Tabarka Studio tiles has a reputation for creating the most amazing and beautiful custom hand painted terracotta tiles. Tabarka’s talented team of skilled artists creates each terracotta tile by hand in a detailed artisan process. The workmanship that goes into each tile is nothing short than quality and skilled workmanship. They create a timeless beauty and brig luxury to any bathroom or kitchen. Plumbtile carries many different Tabarka Studio collections. One of the collections we carry is the Adama collection. This collection signifies Earth in Hebrew. The Adama collection of artisan terracotta tiles have an aged appearance offering the look and allure of centuries old terracotta. They are rich in texture and in color, these handmade tiles are truly an artisan creation in that no two pieces are exactly alike. Another beautiful collection we carry is the Opera. These tiles are absolutely beautiful and will add drama and sophistication to any room and design. This collection of unique terracotta tiles layers luxurious metallics mixed with rich colors to create endless possibilities. I have seen these tiles used in some of the most beautiful bathroom and kitchens to add a modern flair.